Atlanta-based RADCO Companies paid $41.7 million for a 536-unit apartment complex in Tampa, or about $77,800 per unit. RADCO plans to spend about $7.7 million, or $14,500 per unit, to upgrade Cordova Apartment Homes, the company’s sixth acquisition of an apartment complex in Tampa. RADCO renamed the complex Sunstone Palms. The Atlanta-based company financed the acquisition of Sunstone Palms with about $15.4 million of private capital and a $36.7 million loan from Prudential. The 19-acre apartment complex, built in 1975, has 67 buildings two and three stories tall. The average size of the garden-style apartments is 875 square feet. 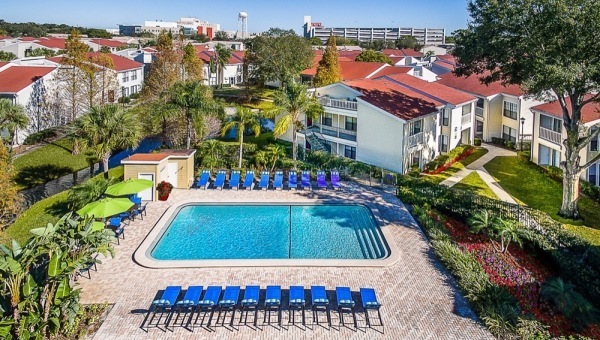 Amenities include a fitness center, two swimming pools, a playground, picnic and grilling areas, on-site laundry facilities, a clubhouse, business center and dog park. The Tampa rental property is near the University of South Florida and its medical center, which includes the H. Lee Moffit Cancer Center and Research Institution, Florida Hospital and the James A. Healy Veteran’s Hospital.